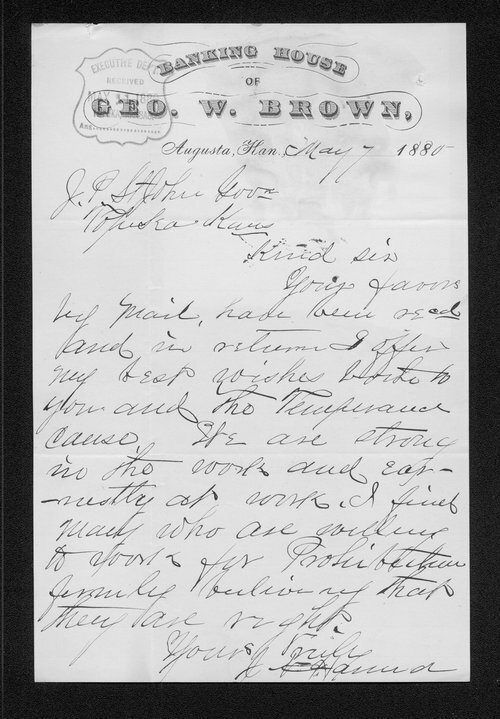 In this letter, J. W. Hand thanks Kansas Governor John St. John for "favors by mail" and extends his best wishes in the cause of Prohibition and states "we are strong in the work". The letter is written on stationary from the Banking House of Geo. W. Brown, Augusta, Kansas.